When Erin G. joined the Enterprise Management Training Program in 2004 in Cleveland, she had no idea how far her career would take her. With a strong work ethic and eagerness to always take on more, she quickly excelled and made her way up the rental ranks at some of the largest neighborhood branches in the Cleveland area. But Erin didn’t stop there. She set her sights on a new challenge – an airport branch. Now a Group Rental Manager in Orlando, Erin is just one of 15,000 employees who was promoted, transferred or moved in 2015. Dita C. exemplifies this philosophy. She started as a Management Intern in 2003 in Corpus Christi, Texas while she was an exchange student from Slovakia. 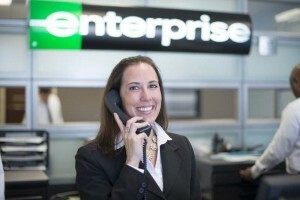 With a competitive spirit and strong ambition to succeed, she knew Enterprise would be an ideal fit for her career, so she set out to work her way up in the company. How can employees take the first step towards advancing their career?